Fashion portrait of a woman. 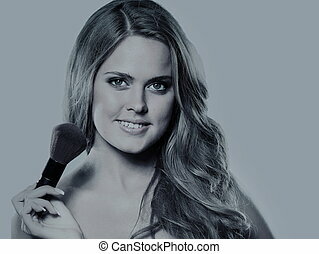 A beautiful woman is surprised, isolated on white background. 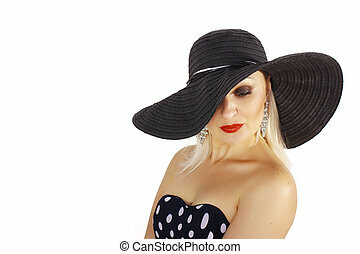 Fashion portrait of a woman , black hat and red lips. 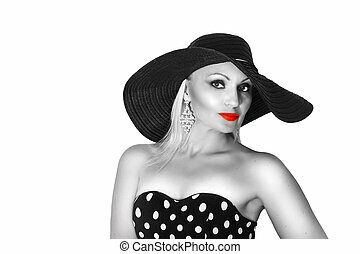 Film Collage Fashion portrait of a woman , black hat and red lips. Black and White Fashion portrait of a woman , black hat and red lips. Portrait of a beautiful woman. Portrait of a stylish young woman. Beauty and fashion.